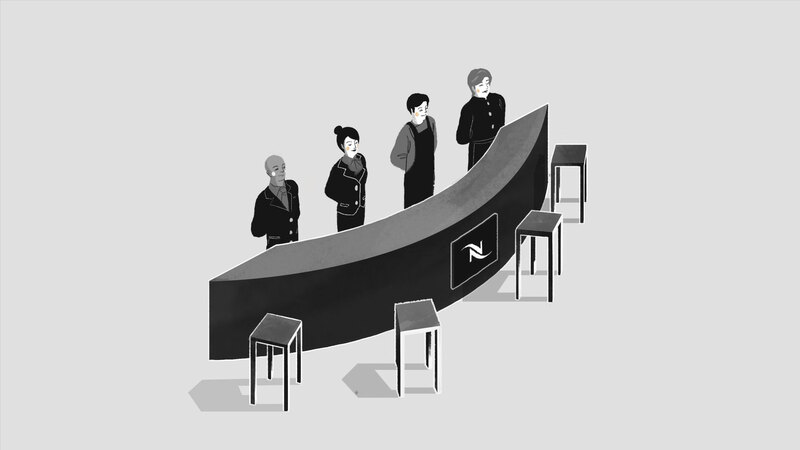 Technical illustration for Nespresso presence in local coffeeshops. 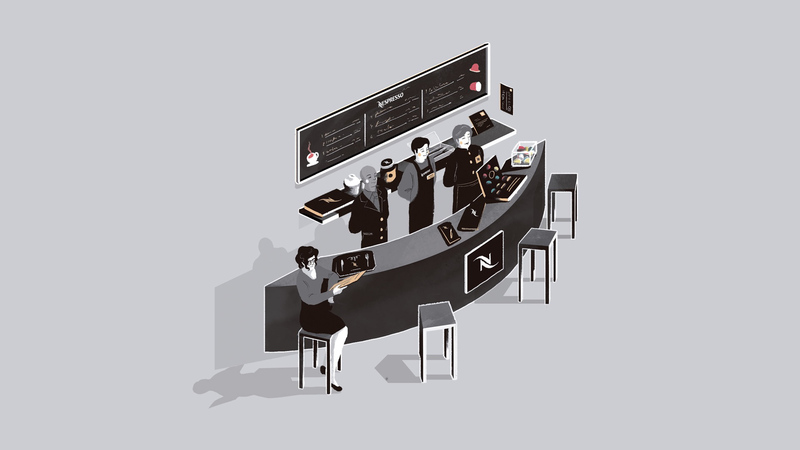 With activity in 50 countries and employing more than 2.500 people worldwide, Nespresso introduced a big change in the way people consume coffee at home and at work. 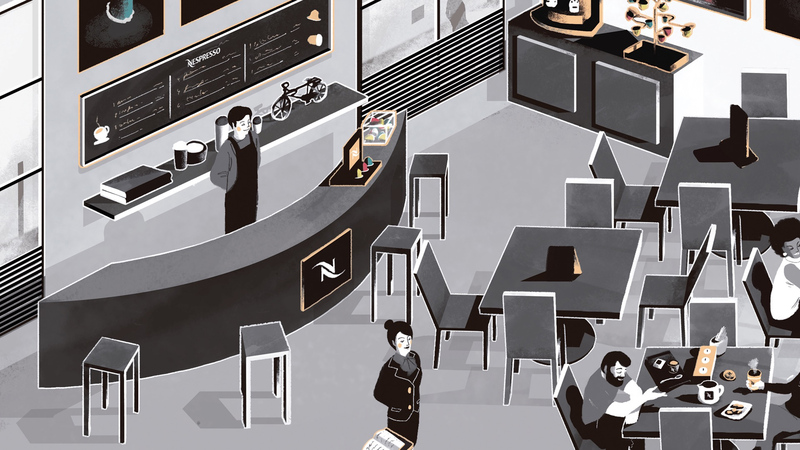 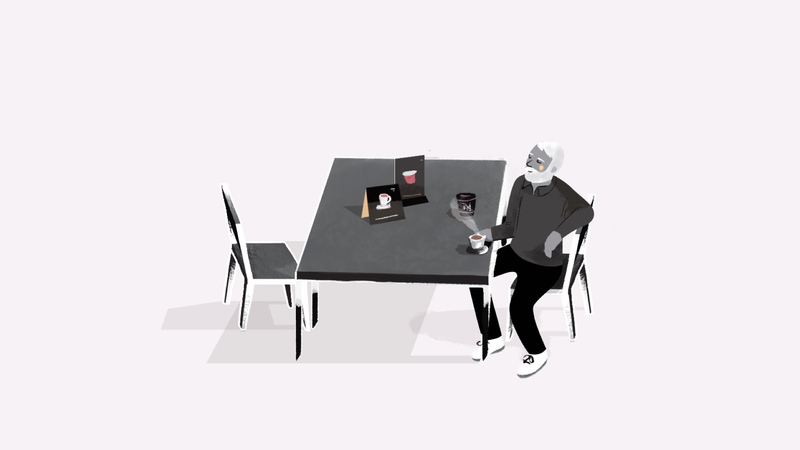 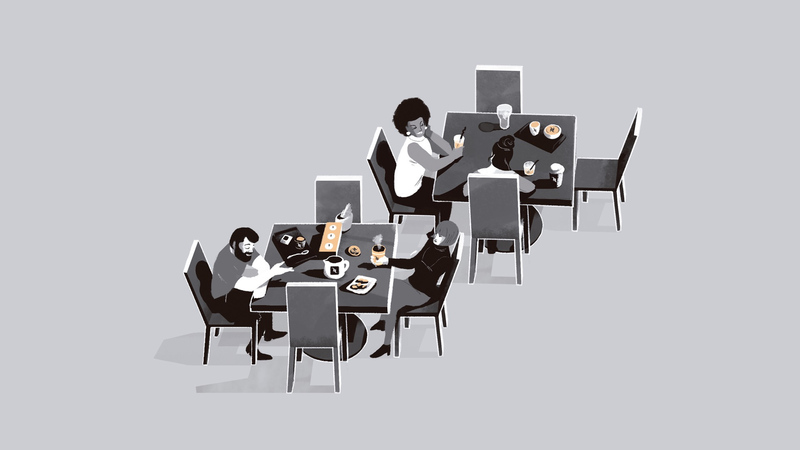 Futurebrand created a guide for their presence and material disposition in local cafés and comissioned Barca to create the illustrations for it. 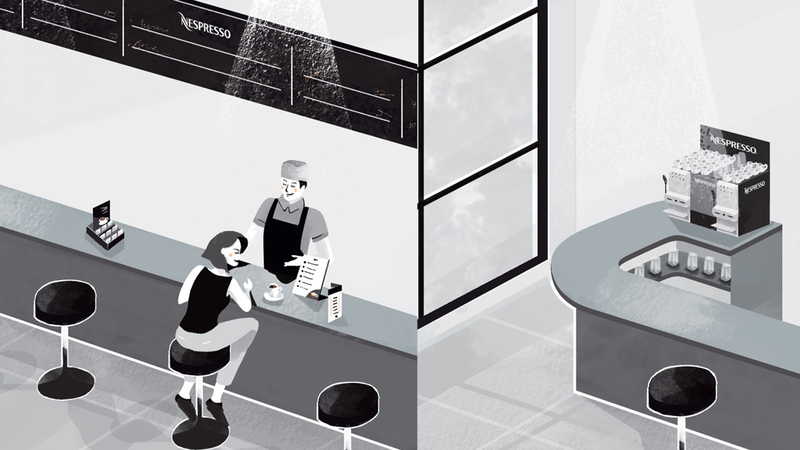 It was a big challenge to create a 2D illustration language for Nespresso, which uses a photographic sophisticated language. 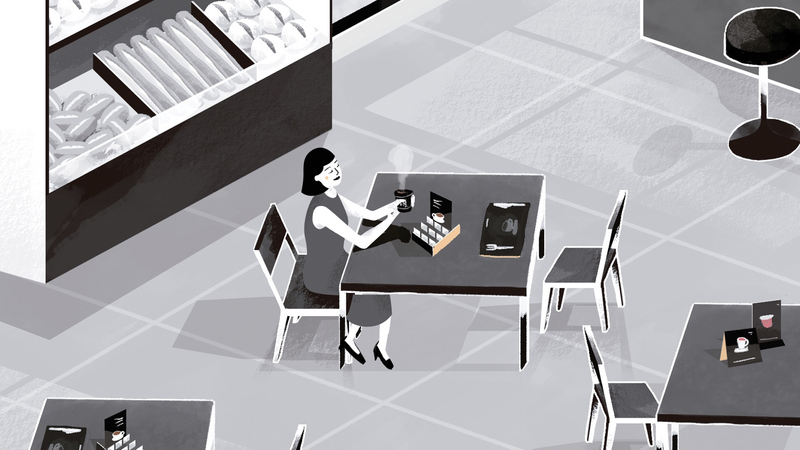 In order to preserve brand’s features, we used a reduced color pallete and simple shapes. 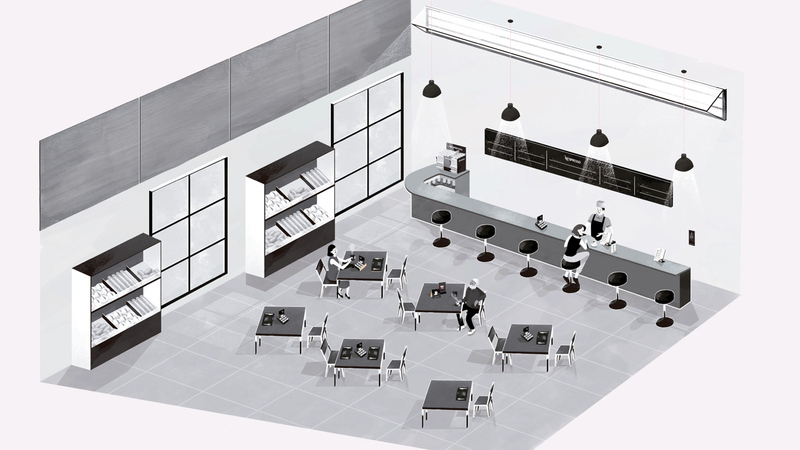 Two years later, we were commissioned to work on the second stage of the project illustrating the situation in local bakeries.